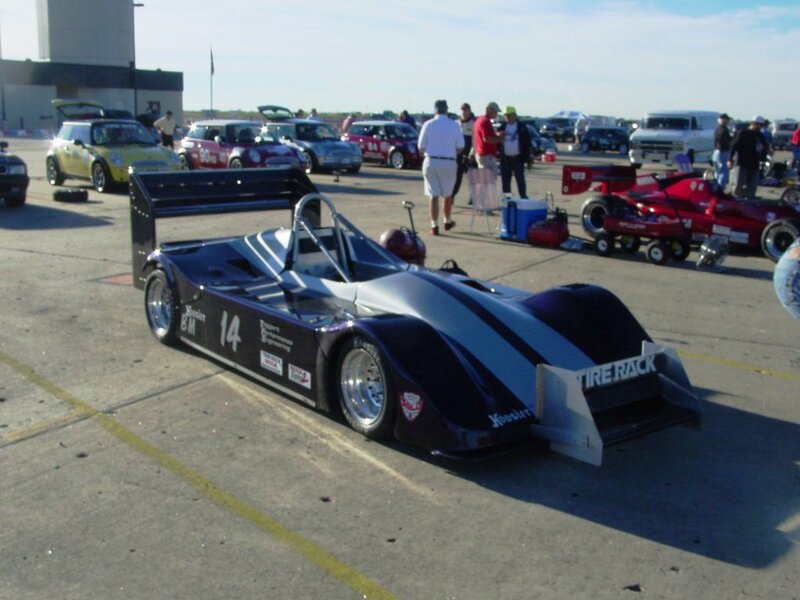 Bryan Fritzler1 of Newark, DE, built his FT03 car in 2003 for Solo II competition. 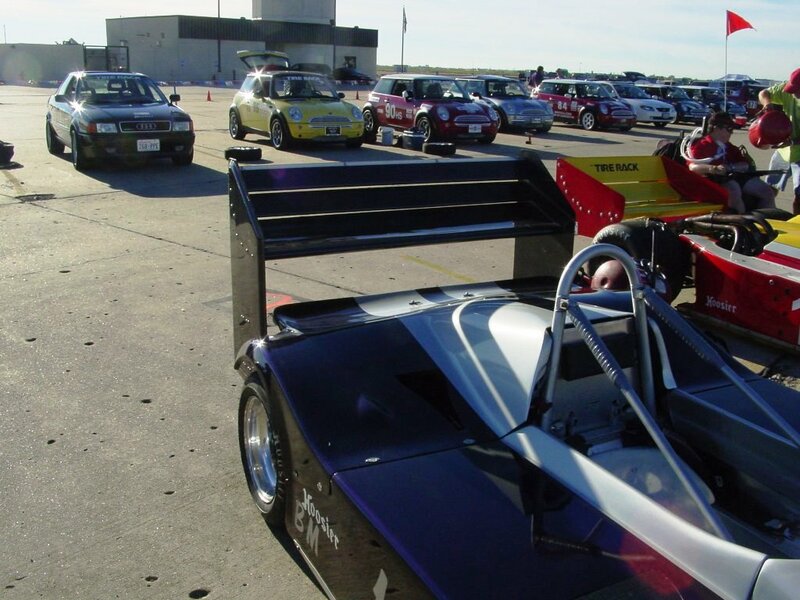 Although the car was built specifically for autocrossing, it has also been homologated for road racing with SCCA to CSR specifications. 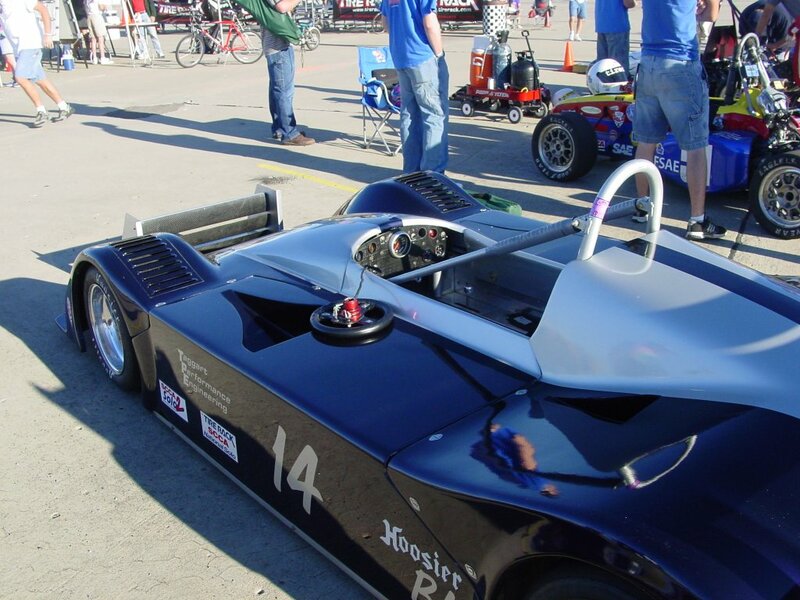 The car was scratch built by Bryan in the garage at his home, with a bunch of machine work by Ken Taggart. 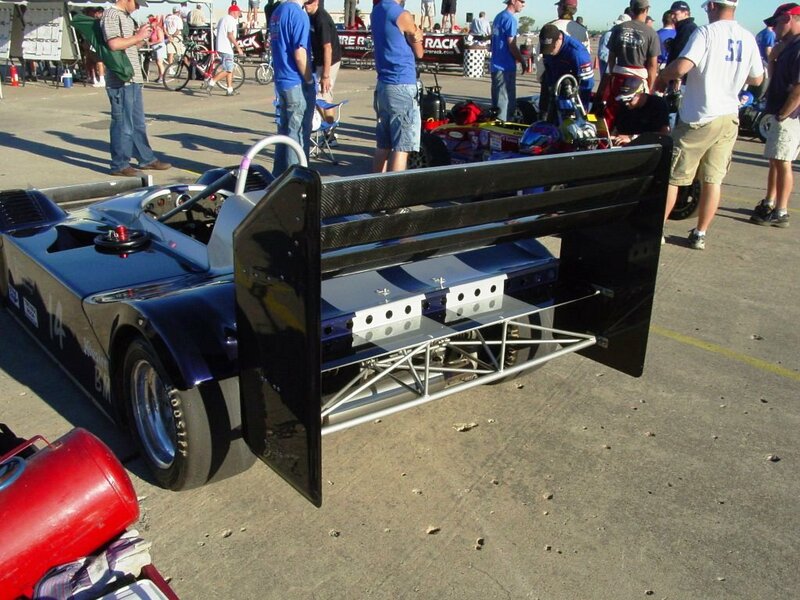 From the main hoop forward, it is an aluminum monocoque. 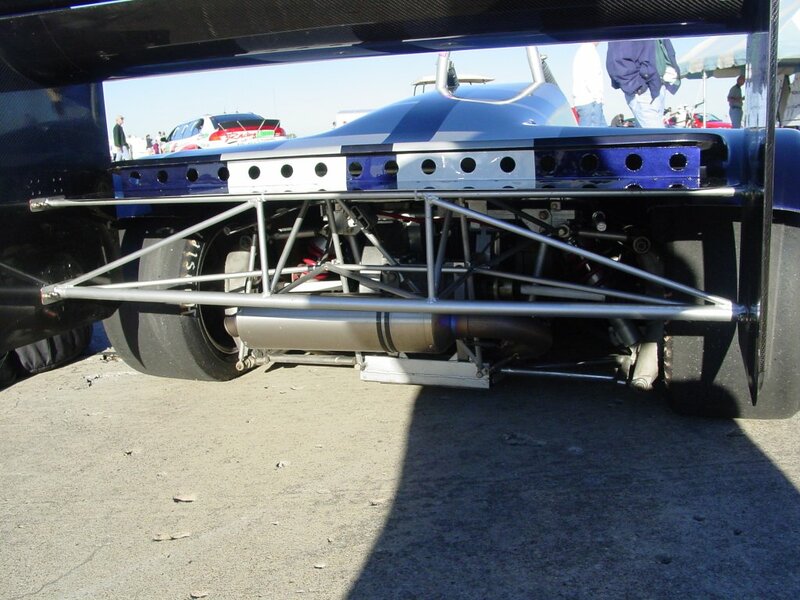 From the hoop back is a tube frame holding the engine and suspension. 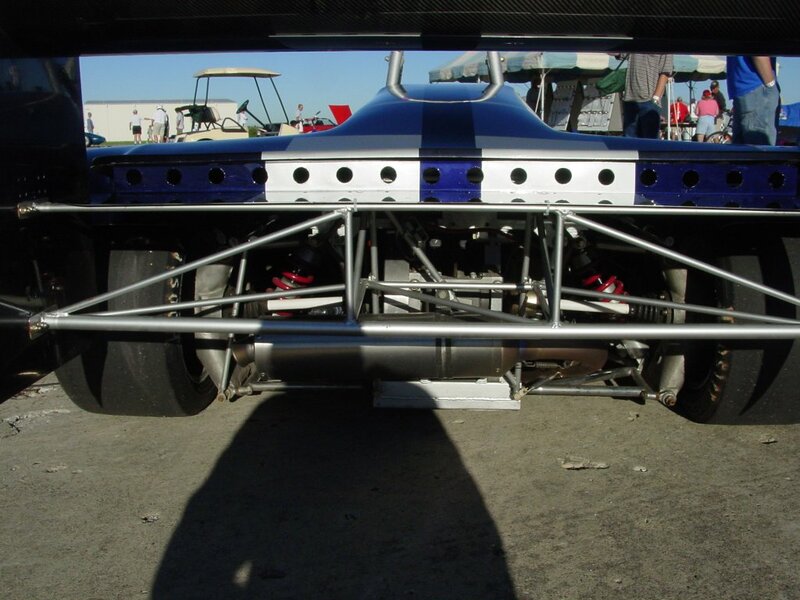 The rear uprights are from an old Tui SuperVee. The front uprights were fabricated by Bryan. Bryan designed the body, made the buck, molds and pieces in his garage. "This has been an ongoing development program." Currently, the car has a fuel injected ZX12R engine. The car has a dry sump, differential, diff carrier and single rear brake by Taggart Performance (as well as a number of other Taggart bits and pieces). 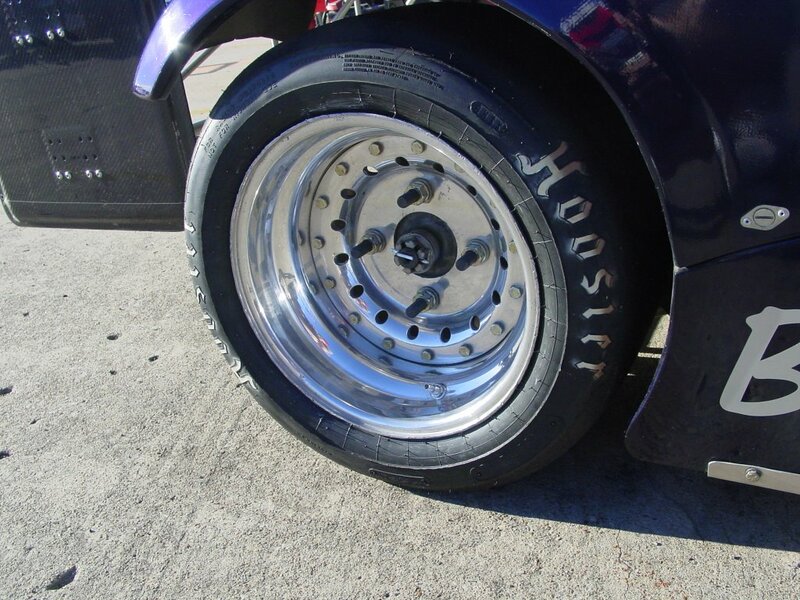 As a bit of trivia, an earlier iteration of this car carried the first-ever Taggart chain-driven differential. 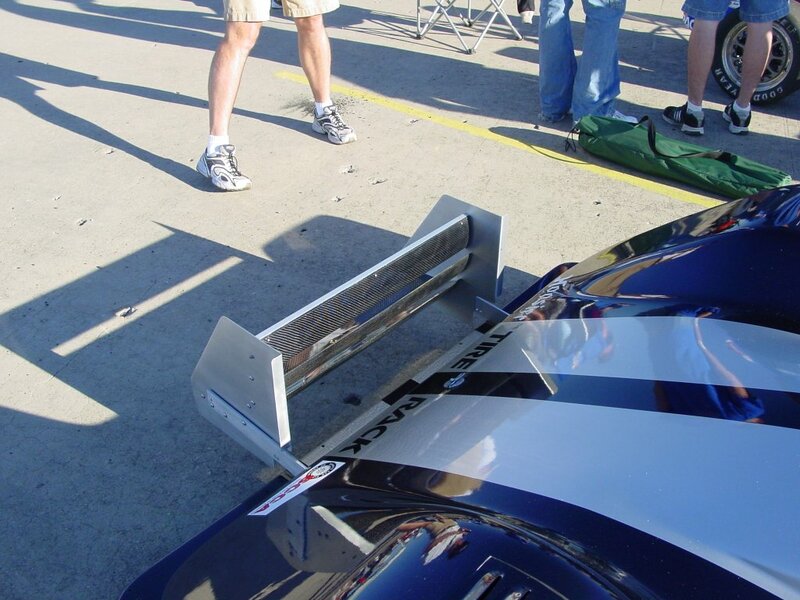 The earlier photos show the car with just the 'small' rear wing. 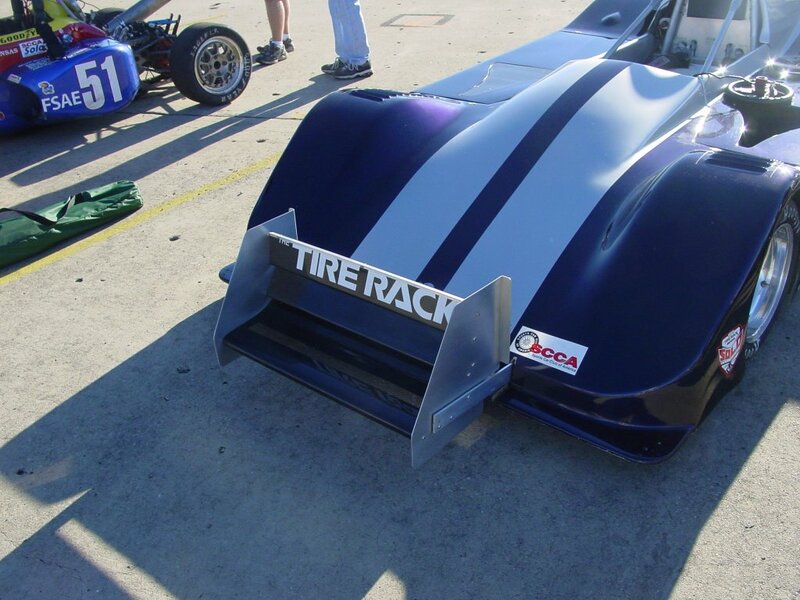 The other shows the car with an early iteration of the big rear wing and a front wing. 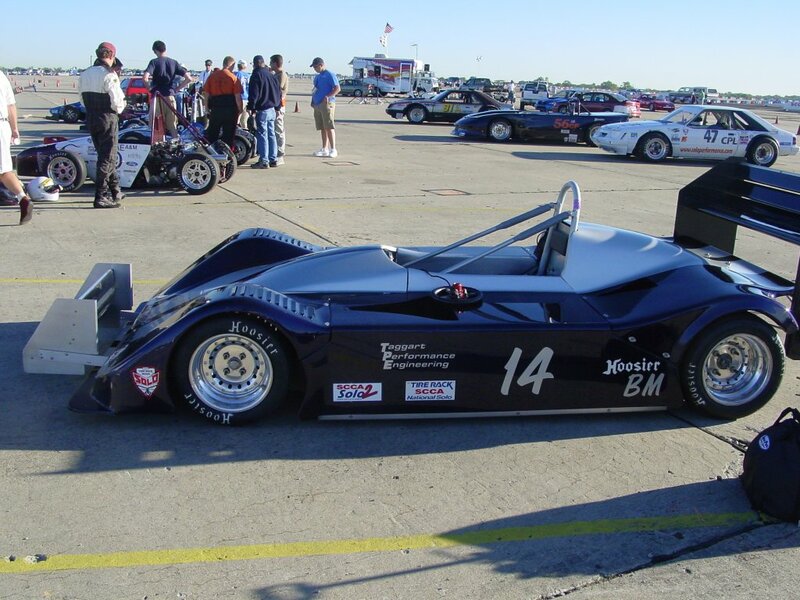 He finished 11th at the 2004 SCCA Solo National Championships. 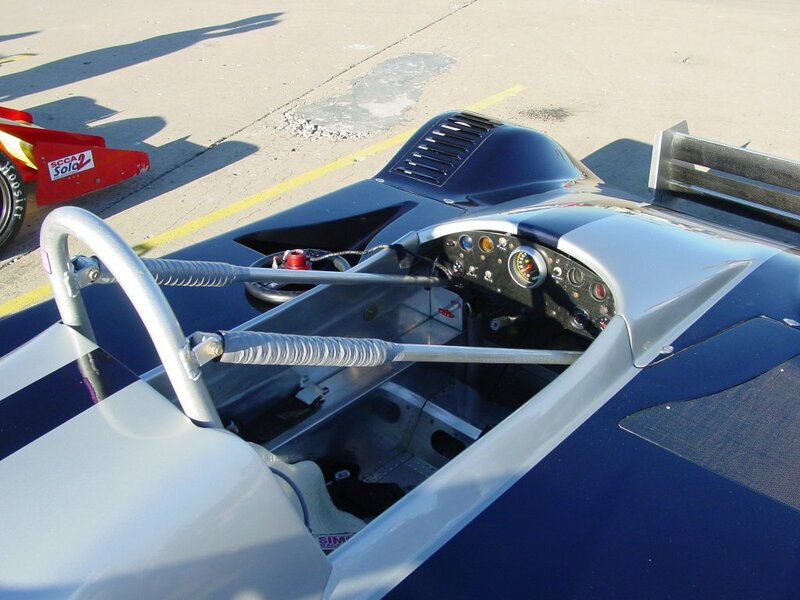 He also tried his hand on a road course with it at the 2006 Spring Jefferson Time Trials at Jefferson Circuit at Summit Point Raceway (West Virginia). Brian posted the second fasted time of a group of six sports racers. 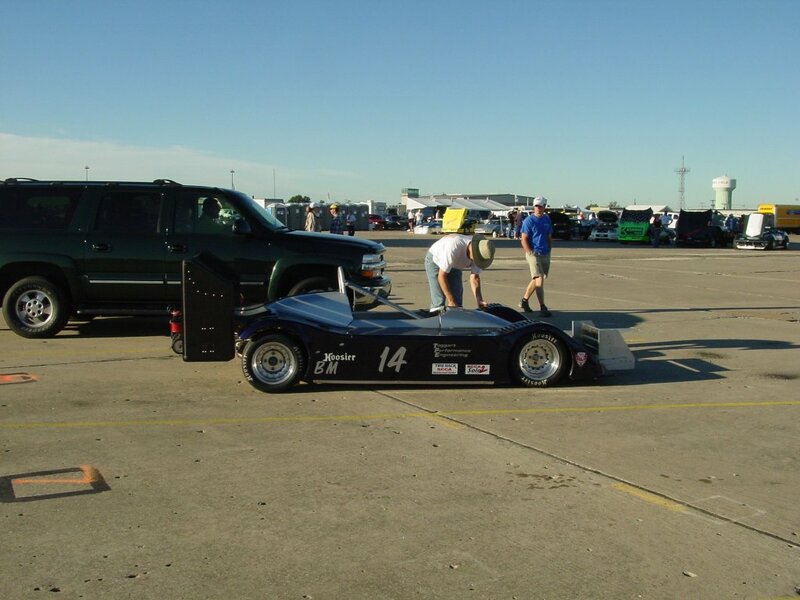 Joe Rausa reported that, "Bryan was at his first "track" event (being an accomplished autocrosser) and turned in a respectable time while testing the upper limits of his oil temps (is 290 really that hot?)"2. See additional photos, including details on the contruction, on Page 2. 2Photo and event report by Joe Rausa. 32004 Solo National photos supplied by Jake Latham from his "album" directory.